Omnate is focused on impact through volume of donors, but our technology also allows individual donors to make the most of their donations when donating to multiple charities. Payment processing fees are a part of all digital transactions. If you were to donate separately to multiple charities, there would be a fee on every individual donation from your account. However, by combining them into just one, there's now only one processing fee for multiple donations, meaning more of your money goes to charity. Fees vary based on payment type, but the average payment processing fees for charities comes to around 2%+30¢ on each individual donation. 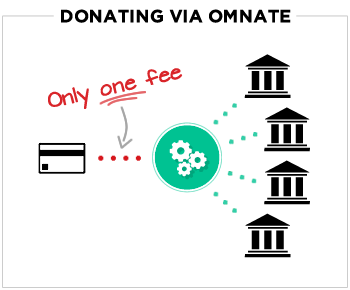 The fee charged by our modern payment processor is 2.9%+25¢, and with Omnate's 2% donation processing fee, that comes to a shared 4.9%+25¢ fee across all donations. 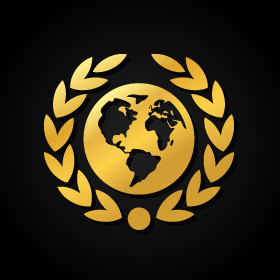 Based on the average total donation of $10 across 5 charities, that would mean a 34¢ fee on each individual donation if you donated $2 directly to each charity. That's $1.70 in total spent to transfer your money to charity. 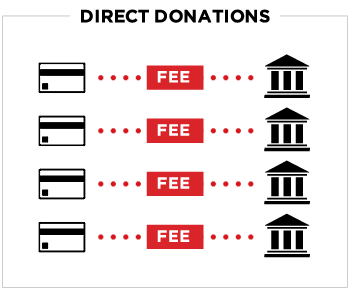 The figures shown above would vary based on the payment processors used by charities, but it's clear that if you wish to donate to multiple causes/charities, it's more efficient to do it via a combined donation. Despite Omnate offering individual benefit to donors, don't forget that the real impact lies in our simplicity of donating. Unlike donating to an individual charity, with Omnate it's much easier to invite family & friends to donate to charity, as you'll be inviting them to support the causes they care about instead of an individual cause/charity you are supporting. That means you'd double or triple your individual impact by simply inviting one or two others to donate with you. By making donating easier and more personal to others, it's easier to boost donations well beyond small percentages. That's the power of community.